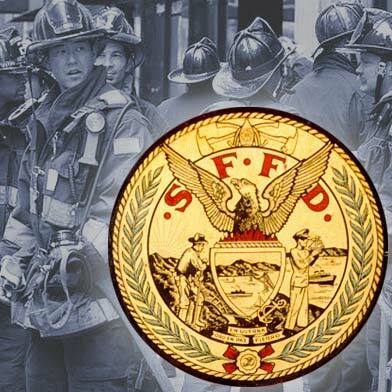 A Mission Street art gallery may be in trouble after San Francisco firefighters responded Tuesday night to a fire intentionally set there, apparently as part of an art piece, a fire official said today. Firefighters responded around 10 p.m. Tuesday to Queen’s Nails, a gallery located at 3191 Mission St. in the city’s Bernal Heights neighborhood, Deputy Fire Chief Mark Gonzales said. The fire, which was quickly put out after causing $5,000 in damage, was apparently started on a piece of art shaped like the U.S. and made of matches that was set ablaze, Gonzales said. Queen’s Nails issued a statement today saying the installation was “America (Burnt/Unburnt)” by Paris-based artist Claire Fontaine. The statement said inadequate ventilation in the gallery caused a large amount of smoke to come from the front of the building and prompted onlookers to call 911, but by the time firefighters arrived, the fire had already been put out. “We would like to assure the community that the utmost precaution was taken during the controlled burning of the piece and that the flame was at no time out of hand,” the statement said. “The burning of the piece, which was not open to the public, has been done by Claire Fontaine seven other times in various venues across the world with the same concerns and care taken into regard,” the statement said. He said the Police Department and district attorney’s office will take over the investigation to determine if charges should be filed for the incident.